I'm pretty sure most of you have heard of or seen the news about the Kpop boy group's member who passed away. His name is Kim Jonghyun, a member of Shinee, a star shining above us now. 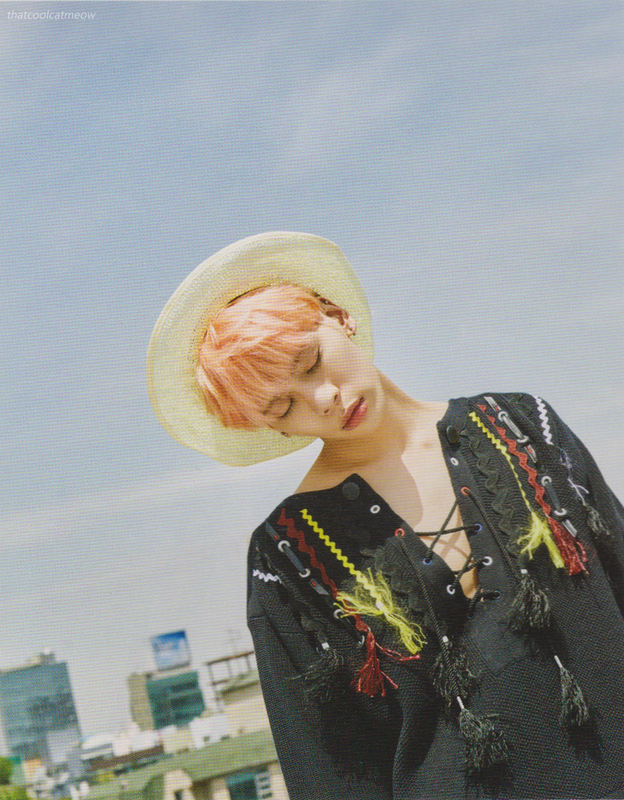 You are my first ever kpop male bias. I watched Shinee's Hello Baby and instantly fell in love with your humor. Your cheeky smile were so cute and charming it makes me happy too. When I first heard you sing and hit them high notes, I was shocked. You are truly the main vocalist of Shinee. When I first saw all the news on Facebook, I was in disbelief. My brain couldn't process all these informations, and I choose to believe the people who said that you're still in the ICU when the media were all reporting your death. I guess I was in denial, I didn't want to accept the fact that you chose to end your life. But when SM entertainment made an official announcement, my heart broke. "Let me go. Please tell me I did well. This is the last goodbye", you told your older sister. I can't imagine how she felt when she read that message because if that was me, if my brother sent that to me... I don't even know what I could do. And I can't imagine how you felt when typing that message and sending it. It breaks my heart to know that you've planned it long ago, and it breaks me even more to know that you were contemplating before going up to the apartment. You wanted to live. But it was too hard to endure wasn't it? It's okay, Jonghyun. No one is going to blame you for doing something for yourself. We know you tried your best, we know you tried seeking for help. We are sorry for not realizing it earlier. This is too late, but please know that I'm proud of you. You brought so much joy for your fans and your music definitely helped them get through their own hardships. Thank you. I know you'll continue shining as a star of the skies and I hope you are no longer suffering. I pray that you're happy and peaceful now. I love you. 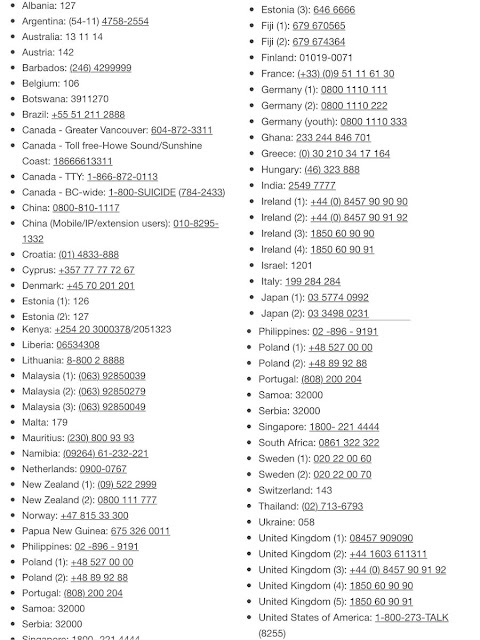 Please do not hesitate and feel free to hit me up if your country's suicide hotline is not on the list. Feel free to send me a email or drop me a dm on twitter if you need someone to talk to. Please take good care of yourself. I love you. Photos credit to the owner.